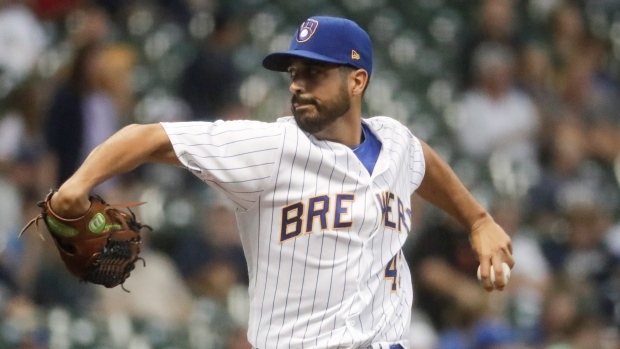 If added to the 40-man roster, the 33-year-old left-hander would get a $3 million salary while in the major leagues and the chance to earn performance bonuses. He was a far cheaper alternative to higher-priced options such as Dallas Keuchel. New York ace Luis Severino is sidelined by right shoulder inflammation and will not be available until May at the earliest. In addition, CC Sabathia is likely to miss the first week or two as he recovers from an off-season that included knee surgery and the insertion of a stent after a blockage was found in an artery from his heart. Sabathia also must serve a five-game suspension for hitting Tampa Bay's Jesus Sucre with a pitch in his last regular-season start of 2018. Aaron Boone's father, former big league catcher Bob Boone, has seen Gonzalez in his role as Washington's vice-president and senior adviser to the general manager. Aaron Boone plans to have dinner with his dad when the Yankees travel across Florida to the east coast later this week.